SPIRAL – Spiral membranes have the advantage of very high membrane packing density. Spiral RO membranes are used for applications such as water softening, and water reuse. 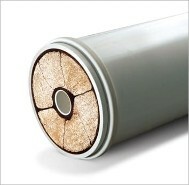 HOLLOW FIBER – Hollow fiber membranes provide the advantage of high packing density with the unique ability to be backflushed. 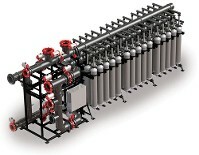 Available in both pressure-driven cartridges and submerged vacuum-driven models, inside-out and outside-in flow direction, they can be used in applications as diverse as drinking water, industrial water supply, high purity water, membrane bioreactors (MBR), pretreatment to RO and other reuse projects. 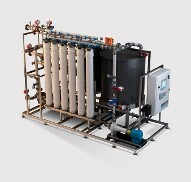 TUBULAR – With an open channel configuration capable of handling extremely high suspended solids loads, tubular membranes are well-suited for applications in heavy industrial wastes including oily wastewaters. Developed for the most demanding water treatment environments, our RO series is equipped for complex applications including seawater desalination, beverage production, water softening for power generation, and industries where high-rejection purification is required. Engineered for water softening and organics removal, our high-flow, low-pressure and selective-rejection nanofiltration membrane elements are recognized for exceptional performance and dependability. The NF Series easily removes hardness using fewer chemicals while significantly reducing total organic carbon. The TARGA II membrane provides safe, high-quality solutions for drinking water, seawater pretreatment, industrial water treatment and tertiary wastewater treatment. The product is based on polyethersulfone (PES) chemistry to provide chlorine tolerance. Ideally suited to meet drinking water requirements, the TARGA II membrane achieves 4-log virus removal. TARGA® II systems are fully automated, featuring intelligent process controls to handle fluctuating feed flow with minimal operator intervention. 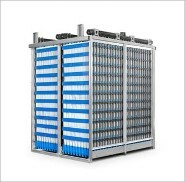 The single-header ultrafiltration PURON membrane bioreactor changed industrial and municipal wastewater treatment. This patented module features reinforced PVDF hollow fibers that are fixed only at the bottom, virtually eliminating the clogging buildup of hair, fibrous materials and sludge solids. Solids and particulates, including bacteria, remain on the outside, while permeate is drawn through the membrane to the inside of the fibers. The aeration nozzle is centered in the fiber bundle to scour the entire fiber length, minimizing power consumption. 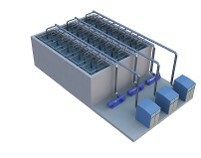 The next generation of PURON MBR, PULSION MBR modules offer up to 40% aeration energy reduction and 25% footprint reduction. This innovation pulses a large bubble through a chambered fiber bundle, creating a piston-like pumping action that results in lower air and aeration energy requirements than traditional scouring methods. 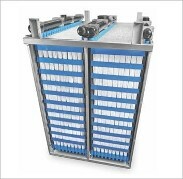 Improved recirculation of mixed liquor in the membrane module boosts achievable fluxes and overall performance. PURON PLUS MBR SYSTEMS Featuring our submerged PULSION® MBR modules, are pre-engineered membrane bioreactor (MBR) package plants. With capacities ranging up to 250,000 GPD, they are designed for both municipal and industrial wastewater applications, including food, dairy, beverage, leachate and produced water. 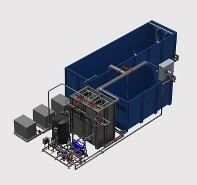 These skid-mounted systems offer a complete and cost-effective design. The virtually unbreakable high-performance PURON membrane provides consistent high-quality effluent. Coupled with a comprehensive biological system, the PURON PLUS MBR system can reduce BOD and nitrogen concentrations down to 5 and 10 mg/L respectively. An evolution of the PURON MBR modules, the PURON HF series is ideal for tertiary applications including RO pretreatment and surface water treatment. With system recoveries of more than 95%, the PURON HF produces consistent, high-quality effluent that meets or exceeds most regulatory requirements. 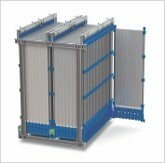 This hollow-fiber product is a high throughput, compact wastewater solution with a low lifecycle cost. It features 44% more membrane area than the PURON MBR module within the same dimensions and supported fibers that virtually eliminate breakage. 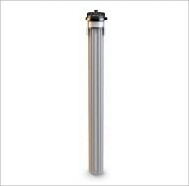 PURON MP pressurized hollow-fiber ultrafiltration provide a cost-effective solution for a variety of water and wastewater treatment applications. The system’s high flux and solids tolerance properties eliminate the need for costly pretreatment and chemical cleans while producing high-quality effluent and meeting stringent regulatory targets, including drinking water LT2 specifications. Polyester reinforced PVDF membranes and a unique single-potting design help to avoid downtime. Performance, simplified operation, reduced maintenance and compact footprint add up to one cost-effective filtration solution.